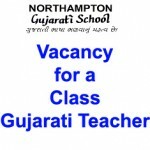 We are looking for a dedicated and enthusiastic person to teach Class 1 at Northampton Gujarati School. The ideal candidate will have some experience in teaching, although this is not essential. The ability to teach the alphabet and basic numbers in an imaginative and engaging manner is essential. Specific responsibilities will include planning and delivering enjoyable and effective lessons, marking classwork, setting, collecting and marking homework. This role will include liaising with staff across the school, parents and any external partners working with Northampton Gujarati School. 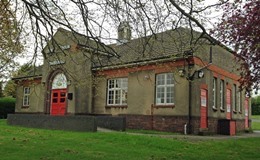 You will be expected to attend all staff meetings and meet with parents to discuss the progress of their child annually including write end of year reports. For more information about this new position, please talk to Rakhi Mistry on 07737 417709. To apply, please email your brief letter of application detailing any relevant experience or knowledge relating to the role and CV to the Headteacher at NorthamptonGujaratiSchool@outlook.com. Your letter should detail why you believe you are suitable for the position. Successful candidates will be invited for an interview.